Although many people are hesitant to discuss bankruptcy, it is incorrect to think of bankruptcy as an embarrassment or a cowardly option. If you are unable to meet your financial obligations now and do not expect your financial outlook to change, consider declaring bankruptcy to allow yourself to build a better financial future. Declaring bankruptcy is certainly not the best choice for everyone. It is a good idea to research your options before making a final decision. Bankruptcy may not be the right decision for you, but you owe it to yourself to become educated about your options so that you can make an informed decision. Remember, whatever you decide, you are not alone. 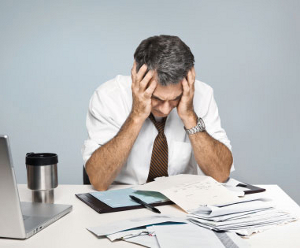 Bankruptcy is defined as a legally declared inability by an individual or an organization (such as companies and businesses) to pay their creditors. Bankruptcy is your right, and you have every prerogative to exercise it. Millions of individuals have already maximized this entitlement. So if you are thinking about filing for bankruptcy, don't be embarrassed. It is far more widespread than you think. Statistics show that 90% of all bankruptcy cases stem from three reasons: job loss, uninsured medical bills, and divorce. More extreme cases include identity theft and total disability. No matter what your reason, you can turn bankruptcy into a good experience and slowly rebuild your financial future. The U.S. Bankruptcy Code details all the legal aspects you need to know about bankruptcy: the process, your legal rights, and the security due you. In fact, you may be released from your debts, or perhaps be required to only pay a portion of each debt under the protection of the bankruptcy court. There are two types of bankruptcy for individuals: Chapter 13 and Chapter 7. A Chapter 7 bankruptcy is a "liquidation" bankruptcy where your non-exempt assets are sold to help pay the debt. They will exclude your home or your vehicle because these are exempt. If you do not have the ability to pay back your debt, then this type of bankruptcy is for you. All the remaining debt after the liquidation is discharged, and you start with a clean slate. The only downside is that you will probably have a difficult time securing loans after this type of bankruptcy. Don't be afraid to read up on bankruptcy so you can understand the statutes and judicial proceedings involving in seeking court support in getting a fresh start. A Chapter 13 bankruptcy is when a borrower uses his or her income to pay a portion or sometimes all of what is owed to creditors over a period --typically 3 to 5 years. In return, the individual is allowed to keep his or her property. In a Chapter 13 bankruptcy, the borrower must agree to a repayment plan, which details how each of the outstanding debts will be repaid. The repayment plan must be approved by the court, which will also determine if the person has sufficient income to meet their financial obligations. Just because you are bankrupt does not mean you cannot afford a lawyer. Many law firms now specialize in bankruptcy cases and offer flexible payment terms. Seek a competent attorney who can immediately free you from nuisance creditors by securing an "Automatic Stay" order from the court. This order will disallow your creditors to collect their debts from you. Choose a lawyer with a solid reputation for working bankruptcy laws to your favor. Such a lawyer can save your car from repossession or your home from foreclosure. You can also look into ways to prevent foreclosures such as loan modification and short sale. Good lawyers also continue to assist you even after your bankruptcy case has been closed. It's a good idea to hire lawyers affiliated with "debt relief agencies," because they usually extend post-bankruptcy support. They have special programs that teach you how to control your spending, live within a budget, start a savings plan, and ultimately rebuild your credit. It is even better if you find an attorney who is a Certified Bankruptcy Specialist. This means that the attorney has more training and experience specifically in the area of Bankruptcy. As one of the last resort steps before filing bankruptcy, look into debt settlement which could reduce your debt and make it inline with your expenses. Bankruptcy is not the end of your life. In fact, it will enable you to start on a clean slate, and live your life without the burden of unpaid credit. While bankruptcy will likely stay on your credit report for about six to 10 years, you can immediately demonstrate to banks and other lenders that you have acquired the discipline to maintain a good credit report. Immediately after a bankruptcy, borrowers must undergo a waiting period to restore home loan eligibility. During this time, it is advisable that borrowers restore their credit and start practicing good payment habits, making all payments on-time. Expect to receive new credit card solicitations within days after your discharge. You will need new credit cards, but remember not to fall into the same traps again. Be extra responsible in spending and borrowing money, and always make your payments on time. You will also be able to finance a car immediately after your bankruptcy discharge. Many automobile dealerships are prepared to give you good deals even after you've gone bankrupt. Financing a home is also possible within about two years after bankruptcy, provided that you can make a minimum down payment and prove your ability to make the monthly mortgage payments.